Boxing is full of big personalities and love him or loath him Tyson Fury is perhaps the biggest ego there is in the sport right now. The former heavyweight world champion went AWOL win 2016 losing his titles following illegal substance misuse allegations. In January 2018 the Gypsy King announced his comeback and having gone through the motions against Seferi and Pianeta with easy victories he was entitled to fight at the top level again. Following a breakdown in talks between Anthony Joshua’s camp and Deontay Wilder’s, Tyson Fury stepped up to put his name down to fight for the WBC heavyweight title. The LA fight on 2nd December ended in a spectacular, and rare, draw. The fight went the distance and despite Tyson being knocked-down twice, he was able to carry on, demonstrating the fantastic evasive technique that saw his initial meteoric rise. Many felt Fury should have won clearly, and would have done on home soil. A rematch is an almost certainty but recent decisions by both fighters to sign with rival networks means it may not happen until 2020, in the mean time Fury will take on German heavyweight Tom Schwarz in Las Vegas in June. 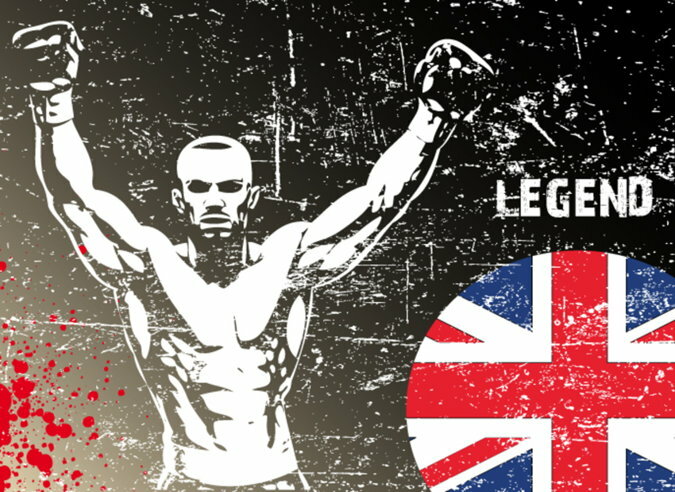 On this page you will find betting odds, offers, fight information and you can also read about Tyson Fury and his career so far. Stake £10+ on a bet with odds of 4/1+ and if it wins 888 Sport will also give you a £5 free bet token (valid 7 days) alongside your winnings. You can also claim this once each day. Anthony Joshua remains the fighter that all of the heavyweights want to get into the ring with, but that means that the power is all in his hands and the rest of the top bracket are having to wait for AJ to decide when he wants to fight them. He had a booking to fight at Wembley Stadium in April, which many assumed would be against one of the chief contenders for his crown, but he cancelled that and has booked a fight against Jarrell Miller at Madison Square Garden in June instead. The result is that the boxers who most want to take him on are having to find fights of their own, with Tyson Fury deciding to take on little-known German boxer Tom Schwarz. The fight is scheduled to take place in Las Vegas on the 15th of June, with some believing that it’s part of a plan from Fury to improve his profile in the States rather than because he sees it as a particularly challenging fight. Many had felt that a rematch between Fury and Deontay Wilder was surely going to be on the cards after their draw in December, but instead the Gypsy King has followed Joshua’s path of finding his own fighter away from the other high profile heavyweights. It’s the start of a 5 fight deal that Fury has signed with US broadcaster ESPN, which is reportedly worth at least £80 million to him but adds a huge complication to the likelihood of him fighting either Wilder or Joshua any time soon. The short answer is ‘nothing’. 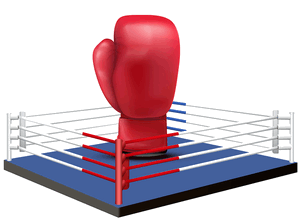 Neither boxer holds any of the major belts, meaning that there is nothing specific riding on this fight. It’s believed that Fury is trying to line himself up for a mandatory shot at the title that Joshua holds, but he’s still a long way from doing that and this fight is more about him trying to further his reputation in America so that the purse will be significantly bigger should Fury’s people be able to work something out with Wilder’s to make the rematch between the pair happen. You’d be more likely to find a singer in Las Vegas that had never heard of Elvis Presley than a boxing expert who thinks this will be anything other than a walkover for Tyson Fury. The BBC’s Mike Costello believes that Tom Schwarz ‘has little to recommend him at the highest level’ and that the German ‘sometimes looks like he is in slow motion’. That gives you a solid indication of what those in the know think about this fight. Dillian Whyte, who is himself hoping for a world title shot after winning his previous nine bouts, declared to IFL TV that Fury ‘should be ashamed of himself’ for taking the fight. It was a statement backed up by Eddie Hearn, who told the same company that it was a ‘dreadful fight’. The Matchroom Sports promoter, who represents AJ, said he doesn’t really understand why Fury would go from many people thinking he should’ve won the bout against Wilder in December to fighting someone who’s ‘not even top 15 in the world’. The simple fact is that a matchup between any of Fury, Wilder and Joshua looks unlikely for the time being. The Gypsy King’s decision to sign with ESPN means that the three heavyweights are each signed to a different TV network in the US, given that Joshua is with DAZN and Wilder remains loyal to Showtime. The three are also with different promoters, meaning that finding a way through the confusion has become even harder. Given that this is the first of a 5 fight deal that Fury has signed with ESPN and the earlier problems mentioned surrounding the top 3 heavyweights and their relative deals with the various broadcasters, don’t be expecting Fury to be announcing the rematch with Wilder any time soon. 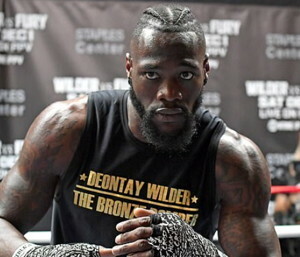 Bob Arum, who is the Gypsy King’s co-promoter, said that he will likely have another fight in the States before the year is out but that any match against Wilder wouldn’t happen until the start of 2020 at the earliest. If it’s true that these fights are designed to improve Fury’s reputation and standing in the United States then it’s likely that he’ll have another one that he is almost certainly going to win pencilled in for October or November. Fury himself said, “I have to take care of Schwarz, Wilder has to take care of Dominic Breazeale and then I say we get it on”. He did, however, say that he’s been sending his rival messages but that he’s ‘gone quiet’. 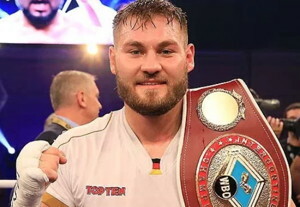 It is no exaggeration to say that Fury has made an odd choice in his picking of Tom Schwarz, such is the extent to which there’s not a huge amount know about the German boxer. He’s fought 24 times so far in his professional career and won every one of those fights, 16 of them by knockout. He’s only fought outside Germany on 2 occasions, however, doing so in the Czech Republic. None of his fights have been against names that those outside of the German boxing scene would know much about. Whilst he is ranked second in the world by the WBO, he’s only ninth according to the IBF and isn’t even in the top 15 according to both the WBC and the WBA. He’s 6 foot 5 inches tall, making him 4 inches shorter than Fury but still tall enough to mean he’s in the same category. Indeed, one of Fury’s trainers, Ben Davison, said that the German was chosen because the Gypsy King is keen to fight someone tall, given that Joshua is 6 foot 6 inches, Wilder is 6 foot 7 inches and it’s not useful to continually swap the size of boxer you’re facing. The world of boxing has always been one filled with controversy, but few characters quite tick that box like Tyson Fury. Even his nickname suggest a touch of the less palatable, being known as The Gypsy King. Born in the Wythenshawe area of Manchester in 1988, Tyson Luke Fury, his nickname comes from the fact that his family has Irish Traveller heritage. You could say that Fury was born to be a boxer, having been given the name ‘Tyson’ by his dad as a nod to the then-reigning world heavyweight champion, Mike Tyson. That decision came about because his father, John Fury, was a boxer in the 1980s. Having begun life as a bare-knuckle fighter and occasional unlicensed boxer, John later turned professional and was known as ‘Gypsy’ John Fury. That’s not the only link to boxing in his family, either. The former WBO middleweight champion Andy Lee is Tyson Fury’s cousin, as are both Hosea Burton, the one-time British light heavyweight, and Hughie Fury, a heavyweight. There’s also a family link to Bartley Gorman, the self-proclaimed ‘King of the Gypsies’. Despite having been born in the Manchester area, Tyson Fury identifies strongly with his Irish heritage and that might explain why his early boxing career began at the Holy Family Boxing Club in the capital of Northern Ireland, Belfast. He soon switched to the Smithboro Club in the County Monaghan district of the Republic of Ireland. In 2006 he won a bronze medal during the AIBA Youth World Boxing Championships, as well as taking part in the senior national championships that year. His first real victory came in May of 2007 when he won the EU Junior Championship for England. Despite being ranked as the third best junior in the world, he missed out on a place in the Olympic squad to travel to Beijing for the 2008 Olympic Games to David Price, who he had lost to in the senior national championships back in 2006. Price’s absence at the Olympics played into Tyson’s hands, however, and he became the ABA national champion in 2008. It also persuaded him to turn professional earlier than intended, fearing that he might wait around for the 2012 Olympics only to miss out again. Having fought thirty-five fights as an amateur and racking up a score of thirty-one wins and four defeats, with twenty-six of his wins being via knockout, Fury became a professional in December of 2008 when he fought on the undercard of Carl Froch and Jean Pascal in Nottingham. His first professional bout was against a Hungarian named Bela Gyongyosi, with Fury winning via technical knockout in the first round. Fury enjoyed six more fight in the next seven months, winning all of them within four rounds. In September of 2009 he fought his biggest fight so far when he took on the reigning English heavyweight champion, John McDermott. The match was a closely fought contest that lasted the full ten rounds before Fury won on points. Many considered this to be the incorrect decision, having scored the match in favour of McDermott. Fury kept on challenging himself, leading to a match against the undefeated heavyweight Derek Chisora in July of 2011. Around three million people tuned into Channel 5 to watch the twenty-two-year-old Fury beat the man five years his elder on points after twelve tough rounds. That resulted in the Manchester-born boxer becoming the British and Commonwealth heavyweight title holder, which in turn led to more fights. In 2011 Fury fought two fights in the space of three months, taking on Nicolai Firtha in a non-title bout in Belfast in September before defending his Commonwealth title against Canadian champion Neven Pajkic in November. 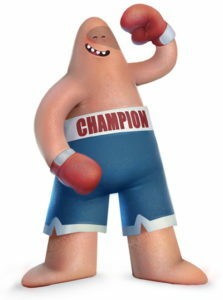 He won the first fight in the fifth round and the second in the third. He fought a number of other bouts in the months that followed, leading to a match against Kevin Johnson in November of 2012 that he won and, in doing so, set himself up for a fight against the WBC title holder at the time, Vitali Klitschko. Having once again fought Chisora in November 2014 in a WBO title eliminator, Tyson Fury made a declaration to the world champion at the time, Wladimir Klitschko, that he was ‘coming for’ him. Before the world heavyweight title fight, however, he took on Romanian-German fighter Christian Hammer at the O2 in London. Fury won the fight in the eighth round when Hammer’s corner stopped the fight, setting him up nicely for his battle with Klitschko. In preparation for the fight, which was due to take place in October of 2015 but was postponed because the Ukrainian suffered a calf injury, Fury worked with two of the highest ranked kickboxers in Rico Verhoeven and Benjamin Adegbuyi. In the end the much anticipated fight, which took place in Dusseldorf’s Espirit Arena, was a disappointment. 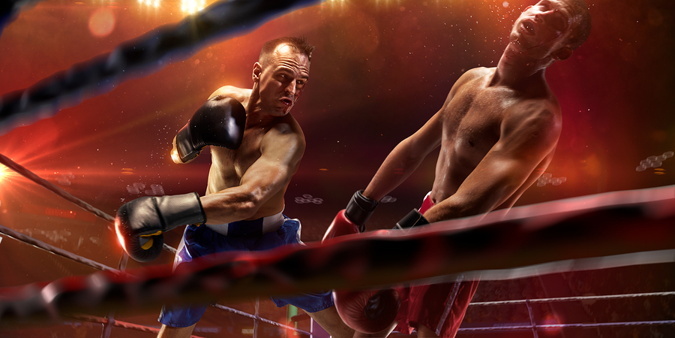 Neither fighter truly went for their opponent, with Klitschko landing just fifty-two of his two hundred and thirty-one punches and Fury not doing much better with only eighty-six of his three hundred and seventy-one punches finding their mark. 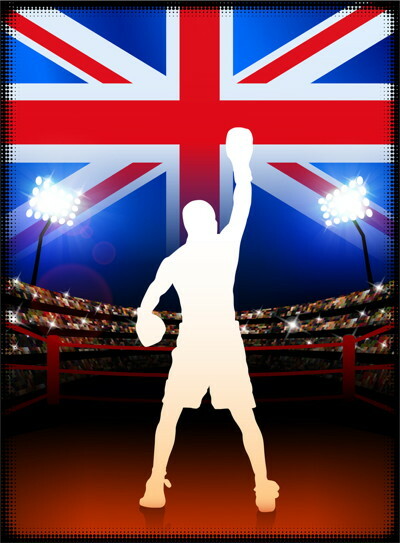 Nevertheless, Tyson Fury won the bout thanks to the judges’s scores, earning cards of 115:112, 115:112 and 116:111. It meant that he became the unified world champion of the WBA (Super), IBF, WBO, IBO, Lineal and The Ring heavyweight titles. As the contract for the fight had a rematch clause, however, the IBF stripped him of his title as he was unable to take on their mandatory challenger. In October of 2016 he voluntarily vacated the WBA (Unified), WBO, IBO titles after it emerged he was under investigation for anti-doping and medical issues. In that same month, the British Boxing Board of Control suspended his licence. In early 2018 Fury announced his come-back on Twitter. He quickly embarked on a serious training campaign having gained a lot of weight and lost muscle mass. By June 2018, having lost reportedly over 110 pounds in weight, he fought Sefer Serferi and won in 4 rounds. Despite losing a lot of weight he still came in 66 pounds heavier than his opponent. Fury was an easy victor, showboating for the first two rounds before dispatching Serferi easily following a warning from the referee. Fury followed up with another routine victory against Francesco Pianeta in August 2018. 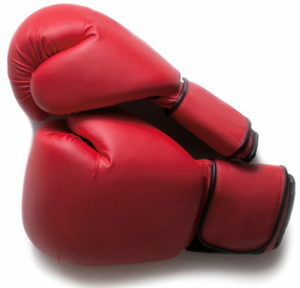 In fact, he said he only took the fight to 10 rounds so he could work on his jab! The victory meant Fury could finally get back into the big leagues and faced his toughest test since he lost his belts in 2016 when he took on Deontay Wilder in December 2018 in the US for the WBC heavyweight title. The winner was hoping to earn the right to take on Anthony Joshua, but this may now have to wait as the fight ended in an unexpected draw. One of the best heavyweight bouts in years, the fight lasted the full 12 rounds with one judge scoring for Wilder, one for Fury and one a tie, leading to the draw decision. Fury was twice knocked-down in the 9th and 12th round, and somehow got up and carried on, but on balance most people think it was Fury who won showed top class counter-punching skills. 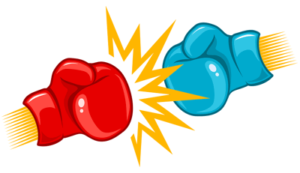 A re-match is certain in late 2019 or early 2020, once issues between rival network contracts have been resouved; and you can see from the odds this time around it is, rightfully, Fury who is the favourite. As mentioned at the start of this piece, Tyson Fury is a controversial and divisive figure. A practicing Catholic, the boxer has made numerous statements over the years that have caused raised eyebrows. In 2013, for example, he declared that he would ‘hang’ his own sister if she were promiscuous. He also declared David Price and Tony Bellew to be ‘gay lovers’, which was just one of the homophobic comments that he’s made during his career.